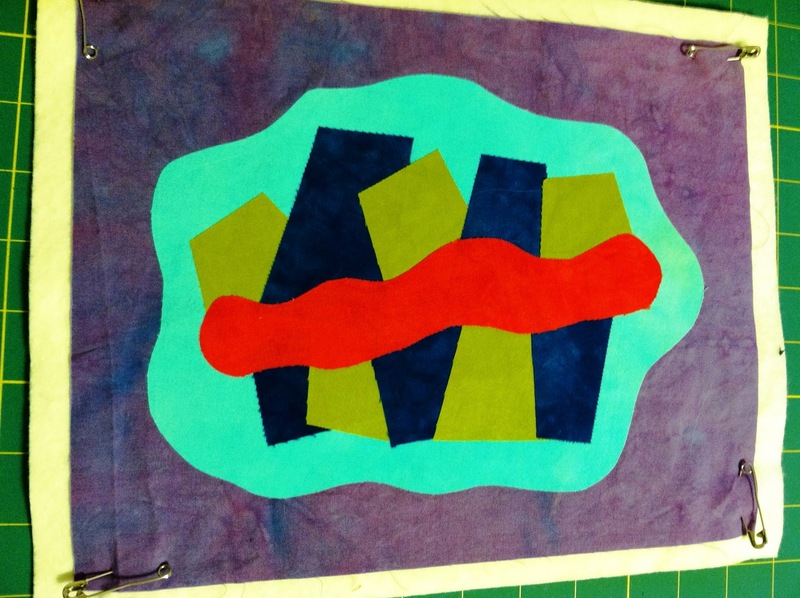 A Quilting Jewel: What to do with no machine? Last weekend I was sewing away, trying to finish the stars for the border of my Christmas BOM when my machine started to make a squeaking noise. I gave it a little oil and it sounded much better, for all of about 30 seconds. After that 30 seconds my needle shattered. I stopped sewing immediately because I wasn't using any pins, so I knew I couldn't have hit any pins to cause my needle to shatter. I'm thinking my machine is out of alignment, so it's now at the sewing machine doctor's office for the next few weeks. Hopefully it will be an easy fix. So, what does one do with no machine? I decided to make a little fused mini quilt top. I made this using some hand dyed fabrics that I dyed over the past few years. 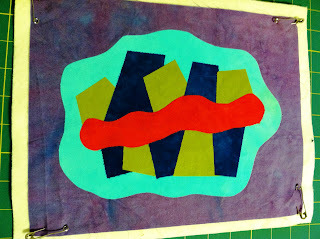 It's slightly larger than this mini quilt that I made last year. 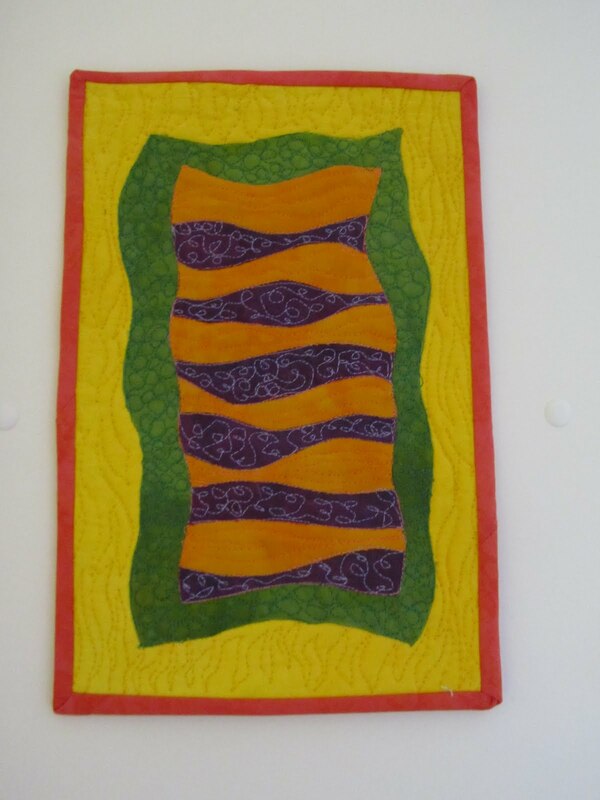 Once I get my machine back I'll machine quilt it and hang it up next to it's cousin quilt. At least I'll have a machine in good working order and lots of stuff cut out for the upcoming retreat next month. NOOOO!!! That's worse than the Patriots losing; ) Love the mini you made! HA! I agree with Alice. You made good use of the disaster though, that is a really sweet mini!